There are around 6.98 billion people in the world, and at least a few million of them have been photographed by Google’s Street View cameras as they captured 48 different countries and regions. 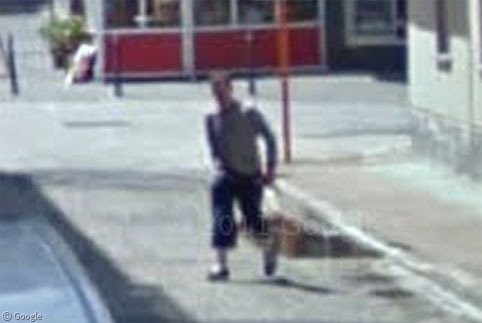 But today I’d like to draw your attention to this man, photographed 5 or 6 times, chasing the street view car around the streets of Ostend in Belgium. I’m highlighting these images, taken in 2009, not because they features something funny or unusual, but because it’s me. Now, I know some of you will cry foul at me featuring something so mundane as my own holiday snaps (in fact, there is nothing more boring than someone else’s holiday snaps). But, I’d like to use this platform I have at my disposal to publicly ask Google – why did you make me all green? Continuing the subject of me, is a photograph of my house in Oxford, UK (just before we sold it, sorry stalkers) complete with me and my two children. As with my chance encounter in Belgium, I had no idea the car would be passing (and still haven’t had a Google Sightseeing banner printed), so couldn’t think of much to do except stand there, wave at the driver and take a picture. So, that’s me on Street View twice in two different countries, which I think is probably enough to claim the title as “Most globally photographed man on Street View” (I am judging this competition, after all). 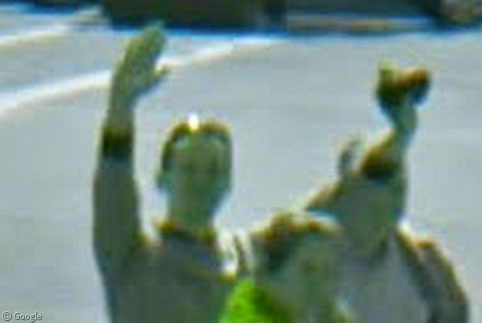 However, while I’m handing out awards, I’d also like to congratulate myself for being “The only person to appear on Street View, on Street View“. 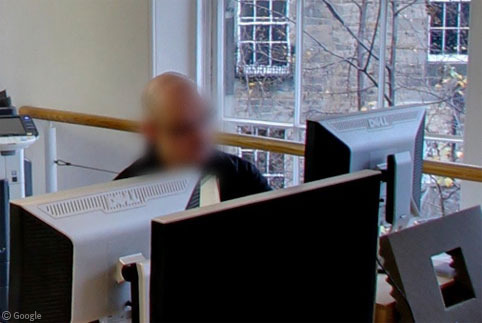 This is the office of Whitespace, a digital agency in Edinburgh where my brother, and fellow Google Sightseeing founder, Alex works. 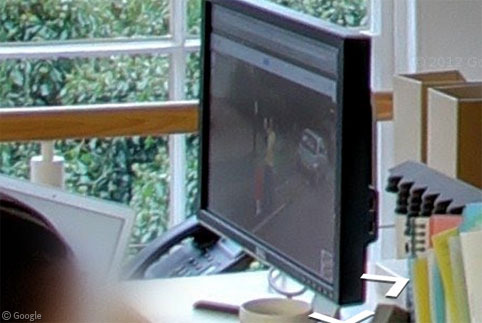 When he heard a photographer was on his way to capture the office for Street View, and also lacking a Google Sightseeing banner, he put me up on his screen. 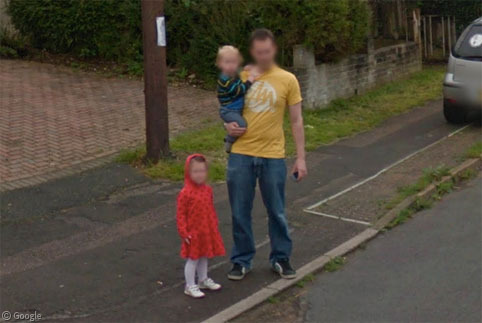 This also meant that Alex finally started catching up, and got himself on Street View. You certainly deserve the honor!!! Keep up the good work. And for having been the “most globally photographed man on Street View,” you’ve won (insert drum roll here) an all-expense-paid, one-week-long, once-in-a-lifetime-opportunity trip…tooooooooo…Waverley, Iowa…in January!! My 80-something year old grandmother is on street view. How lucky is that? 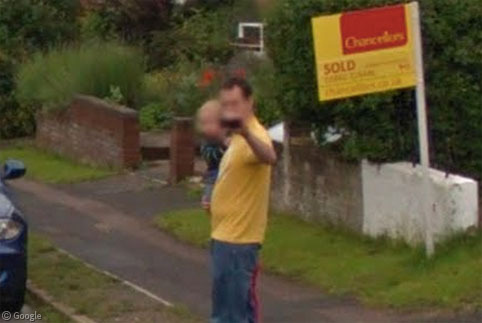 Yo dawg, I herd you like streetview, so we took a streetview picture of you on streetview.